Your child deserves the very best care that a professional dentist can provide. 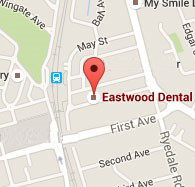 As a family-focused practice, Eastwood Dental understands the importance of children’s dentistry. We understand it’s important to make your child feel comfortable and relaxed, which is why we aim to create a friendly and safe environment for them. We do this with great care and by fostering a positive interpersonal relationship between the dentist and child, as well as the carer or parent. Above all, we emphasise educating children about correct oral hygiene techniques as early as possible, as this will have the greatest long term benefit. Our team at Eastwood Dental, enjoy treating and educating children about oral health and find it very rewarding. Preventative dental care, a healthy diet and an excellent oral hygiene routine are the key to a child’s optimal oral health and care.